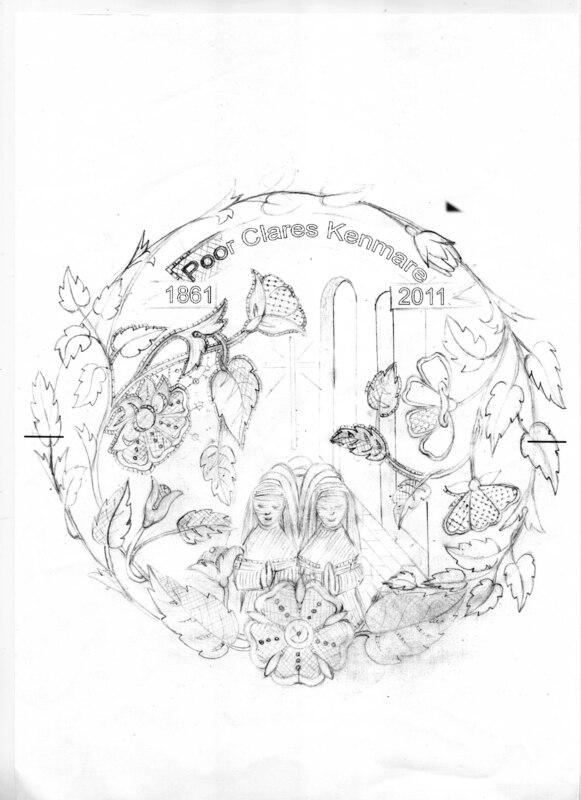 To celebrate the 150th anniversary of the arrival of the Poor Clare nuns in Kenmare in 1861 a commemorative circle of lace is being made in the town. 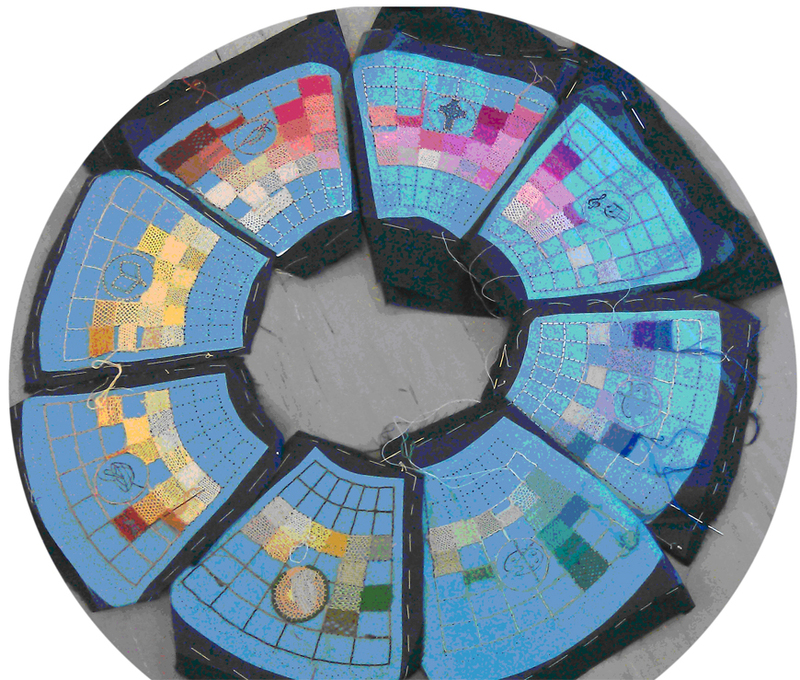 The circle was divided into 8 sections. Each section was divided into portions of approximately 1ins square. 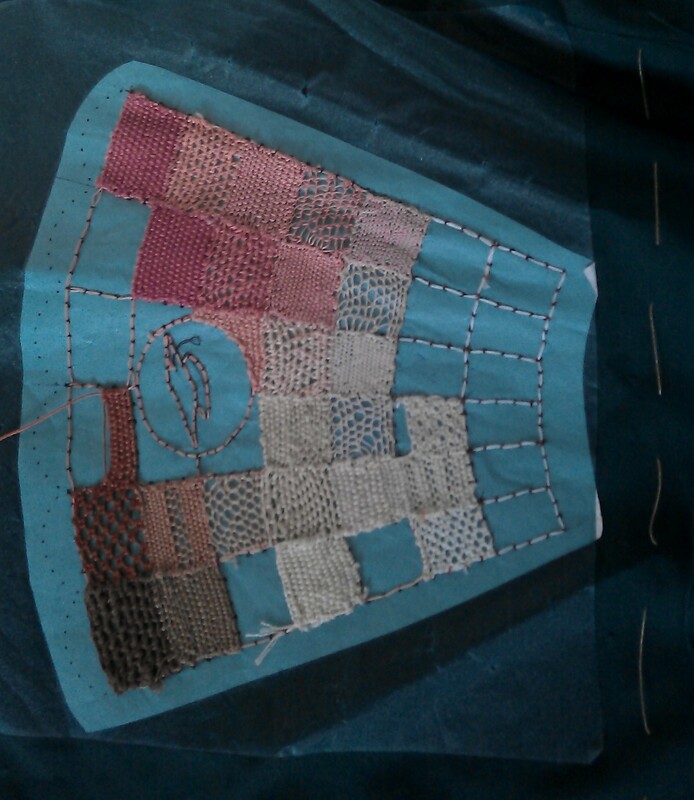 In the centre of each section is a symbol representing the contribution of the Poor Clare nuns to Kenmare eg. Teacher’s hat, music symbol, bowl of food etc. These sections are to be completed by the children in St. Clares School, the nuns from the convent and some of the townspeople. The thread getting stronger sand the colours getting brighter as they move towards the edge, accommodating the smaller children as you move outwards. 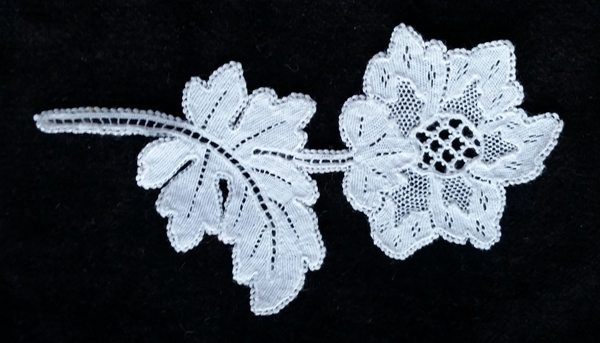 In the centre is to be a circle completed in fine white lace. 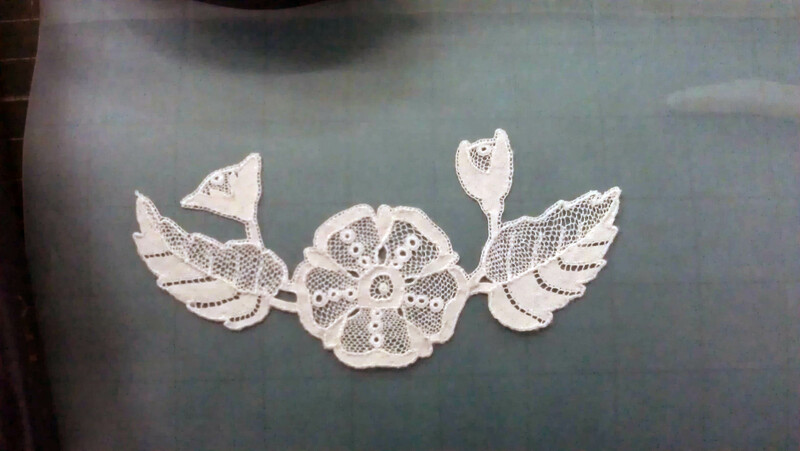 This is to be completed by experienced workers from the Kenmare Lace and Design Centre.The centre circle of about 9ins. 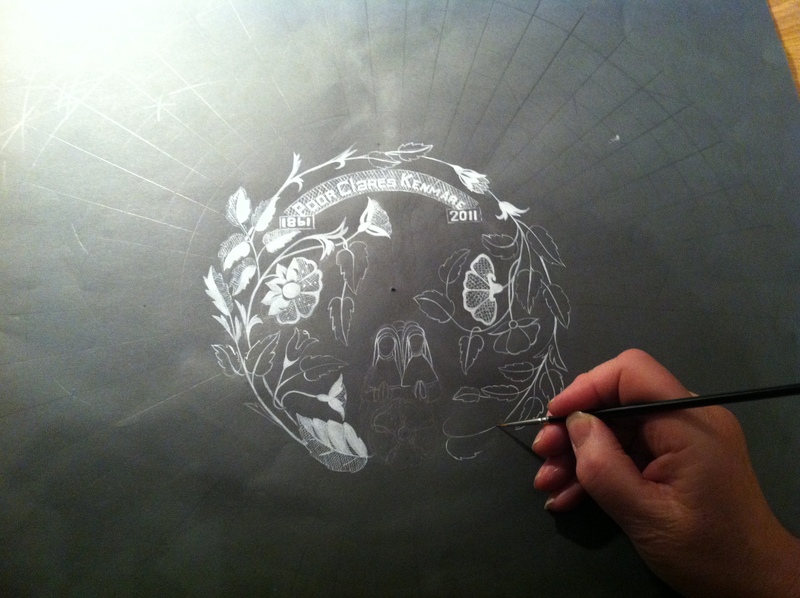 In diameter and is being painted with china white paint and a sable paint brush as were the designs painted by the nuns in The Poor Clare Convent in the 1880s. A section, a little more progress. Design for the centre of the circle. 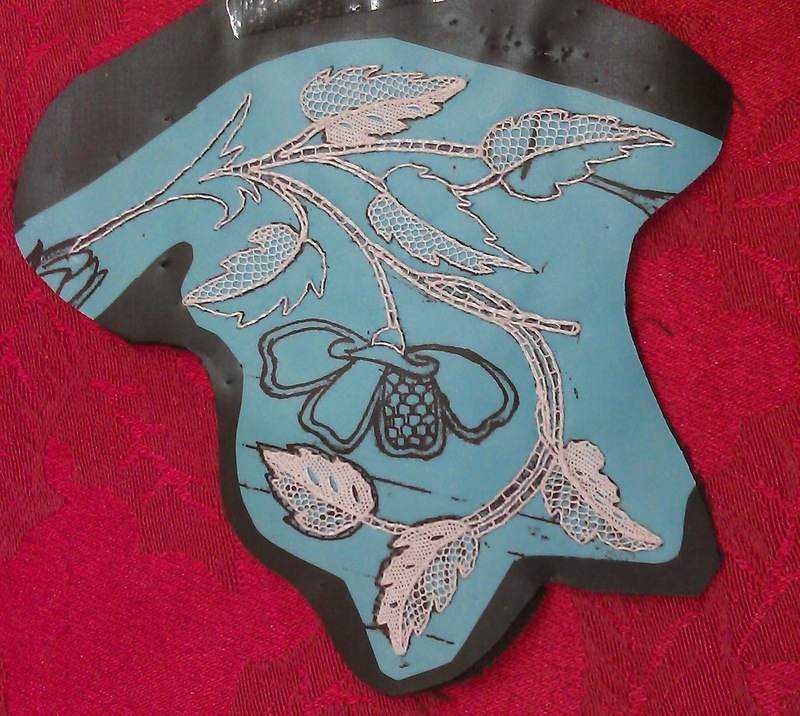 This is being worked by Nora Finnegan using the same technique used by the Poor Clare nuns in the 1880s i.e. Painted with a sable paint brush using China White paint. Working drawing for the centre.